Temperatures will climb to a sunny 85 degrees Wednesday, officials said. NEW YORK CITY — Beach season is arriving right on time. 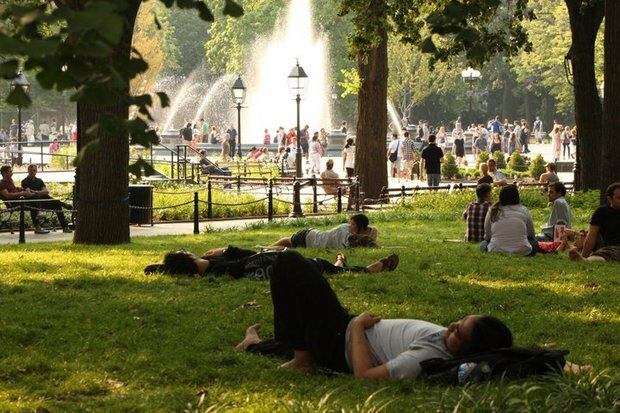 Temperatures will climb to a sunny 85 degrees Wednesday, with warm conditions that will stay in the city through Memorial Day and into Monday, according to the National Weather Service. "Once we get past today's showers, it'll be a nice stretch of weather for the next few days," said the NWS' Carlie Buccola. ► Check out DNAinfo's weather page for more forecasts for your neighborhood. Winds from the west will push out the gloomy weather and bring warmer air to the city, Buccola said. After Wednesday, the city will stay about 80 degrees before dipping a couple degrees by Sunday. "We have 81 on Saturday and 79 on Sunday, but it'll still feel nice and summer-like," Buccola said.